Heading to Splitsville? Check out the new operating hours before planning. Disney announced on July 12 2011, that this fall, construction will begin on Splitsville, a 50,000-square-foot upscale entertainment center that combines bowling with billiards, dining, music and nightlife. To make way for this experience, RIDEMAKERZ, currently located on the West Side in the former Virgin Megastore building, will move to the Marketplace. Priority Bowling allows your group to receive the next available lane(s) upon check-in. Maximum of 2 lanes per group. Maximum of 8 bowlers per lane. Pricing includes bowling. Shoes are $4 per person. • Splitsville accepts the Disney Dining Plan with a Table Service credit. • Disney gift cards are accepted. • Key to the World cards are accepted for room charges. • Tables in Wonderland dining discount is accepted. 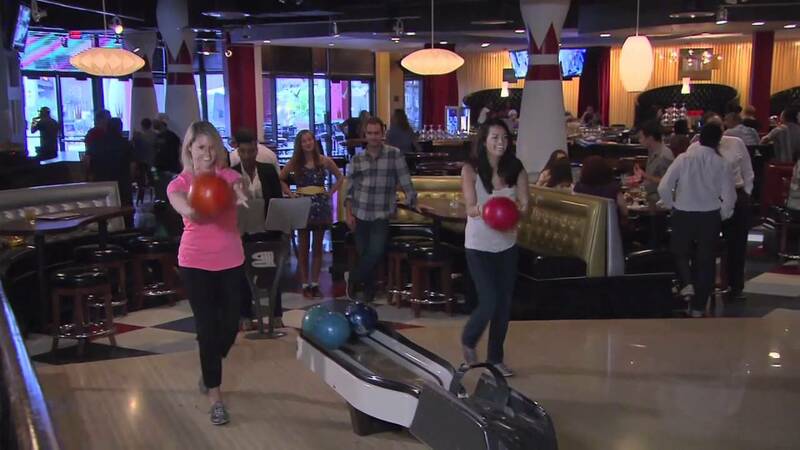 LAKE BUENA VISTA, Fla. – The latest trend in boutique bowling is rolling into Downtown Disney with the December 2012 opening of Splitsville Luxury Lanes. The upscale, retro-style bowling venue will be the largest in the bowling brand’s fleet and joins other fun, family-friendly entertainment options at Downtown Disney at Walt Disney World Resort. The addition of Splitsville builds on the expanding list of entertainment and retail options for guests at Downtown Disney. Florida’s first AMC Fork & Screen movie theatre, Characters in Flight operated by Aerophile, Sunglass Icon, and Something Silver are just a few of the other recent additions to Downtown Disney at Walt Disney World Resort. Splitsville at Downtown Disney is the Orlando-based chain’s fifth location joining venues in Tampa, FL, Miami, FL, Fairview, TX and Fredericksburg, VA. The expansion to Downtown Disney comes amid a growth era for the sport of bowling, which is the most popular participation sport in America with nearly 70 million people participating in the sport each year, according to the Bowling Proprietors’ Association of America. More than 60 percent of bowlers in the United States are under age 34 and nearly half are women. View concept art of the building.